Android is a prevailing operating system for most smartphones and tablets and the only OS for mobiles that can be compared to Apple iOS by far. Have you ever been frustrated when you have Android and want to play 1080P videos on your Android? This article just aims to provide a simple way to successfully compress 1080p Videos to 720p on all kinds of Android based smart phones and tablet computers. As we know, 1080p will give us perfect movie quality with Ultra-clear picture and super sound quality. But due to the video format restriction of Android, most 1080p videos cannot be played directly on Android devices. To make 1080P HD video playable on your device, or reduce the big video size for easy editing or saving space, you need to convert 1080P to 720P. In that case, a professional software for converting 1080p to 720p is the key. Here, we recommended you the Pavtube Video Converter, They’re reasonably easy to use and actually pretty powerful when you want to dive into the deep end. This program can help you encode/re-encod almost all 1080p Full HD videos including MKV, AVI, MPG, MPEG, VOB MOV, TiVo, MTS etc. to 720p HD MP4 videos for using on your devices while keeping the best balance between file size and image quality. Below is how. Step 1. Download, install and launch the top 1080p to 720p converter on your PC, and click “Add video” button to load your 1080p files. Step 2. Choose output format. Generally, H.264 video mp4 is highly recomended. Which is supported well by any tablet and smartphone. 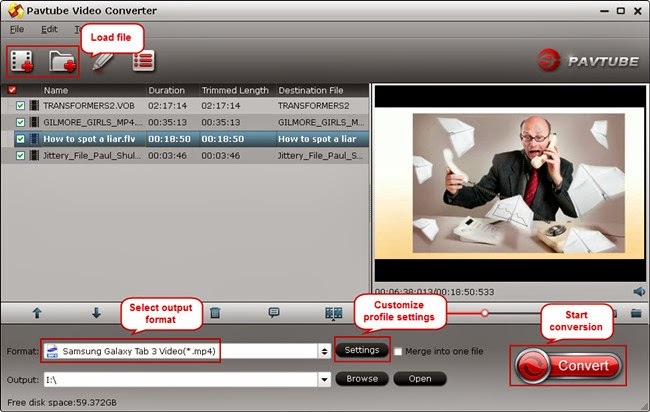 You can also choose any video format you like. Click “Format > Common Video > H.264 Video(*.mp4). Step 3. Set the video resolution at 720p. Click “Settings” button; you can adjust video and audio settings, including codec, aspect ratio, bit rate, frame rate, sample rate, and audio channel. To down-convert 1080p to 720p, do remember adjusting video size to 1280*720. 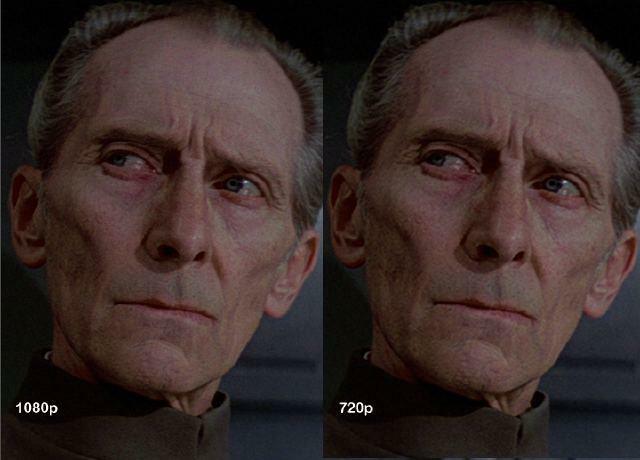 That is the exact 720P. Step 4. Click “Convert” button to start converting 1080p video to 720p MP4 for transferring to Android tablet or phone. When finished, click “Open” button to get the generated video files for playing with your Android tablets or phones. Now, you got the best solution about compress 1080p videos to 720p H.264 MP4 for Android devices. Don’t forget to share it with others who are still annoyed.